Although there are still nearly two years remaining of the current seven-year EU budget, the debates on the next one are at their height. At this stage they are focused primarily on principal issues - on building the philosophy of the Multiannual Financial Framework (MFF) 2014-2020 and defining the rules before discussing the specific numbers. Now is the time each member state to defend its interests in line with the common European interest. Not surprisingly, some member states have formed a group, called "Friends of Cohesion", to withstand together their priorities. euinside regularly follows the discussions on the topic and has presented many times Bulgarian positions on various issues. In order to summarise the Bulgarian point of view in these truly dynamic discussions we spoke with the minister of EU funds management, Tomislav Donchev. He fully supports the changes proposed by the Commission in terms of cohesion policy - focus on results, a link with the Europe 2020 strategy, introduction of macroeconomic conditions: "It is not possible Europe (or at least part of it) to be shaken by the financial crisis, it is not possible to find out that countries that had for long received generous support under the Cohesion Policy are now among the troubled countries and this not to lead to changes in the pattern or the rules of Cohesion Policy." The macroeconomic conditionality is a good tool to achieve fiscal discipline and Bulgaria does not feel threatened by this mechanism, Minister Donchev stated. As to the ex ante conditionality for obtaining cohesion funds, he said it was "a very good mechanism for motivation and pressure for reform." But the most important thing is rethinking the cohesion policy, which is no longer just a tool for the new member states to catch-up with the old ones but "Europe as a whole to be more connected, more coordinated, and ultimately more competitive," Minister Donchev believes. Bulgaria supports these changes because the alignment of Cohesion Policy "to something like charity is not good as for those who receive funds, so, of course, for those who give." In this sense Bulgaria has asked for a reduction of national co-financing similar to that of the countries under rescue programmes. This is valid for the current programming period, but same possibility is provided for the next one too. "We have never been against solidarity and assistance for those in need - let us be clear. However, we believe that a public policy, such as EU policies, should be based on clear principles and should also imply, except restrictions and even sanctions, it should imply also incentives," the Bulgarian argument reads. 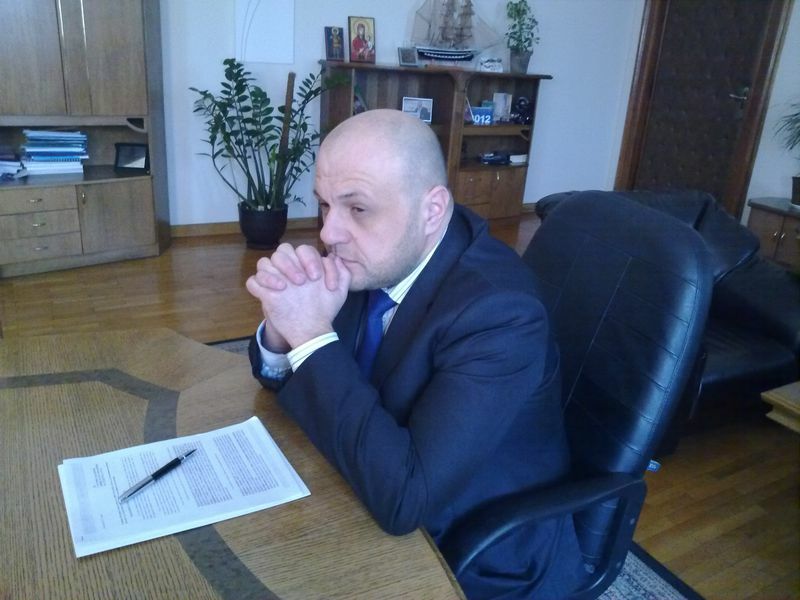 According to Minister Donchev, there is a contradiction between the proposal to reduce national co-financing for countries experiencing problems and the proposal to stop the EU funds for countries, violating the 3% budget deficit rule. With regard to Minister Donchev's proposal Bulgaria to reduce by 5% its national co-financing, he believes it is fully realistic the European Commission to approve it. Bulgaria has started the 2007-2013 programming period with a 20% co-financing, given that only 15% is required, so it is possible to reduce it by 5%. It cannot be done for operational programme "Transport", since the projects are in an advanced stage and nearly 100% of the resources have been committed. But as regards OP "Environment", such a measure would release resources of about 147 million BGN (75.38 mn euros), which can be invested in the water supply facilities. This has been discussed with the Commission at an expert level, as well as with the Commissioner, so if Bulgaria proposed such a measure, I think it would be quickly approved by Brussels, Minister Donchev said. Late last year the Polish Presidency of the EU organised a special Council devoted on the future of Cohesion Policy. Then it became clear that the new member states have different priorities than the so-called thematic objectives, set by the Commission. 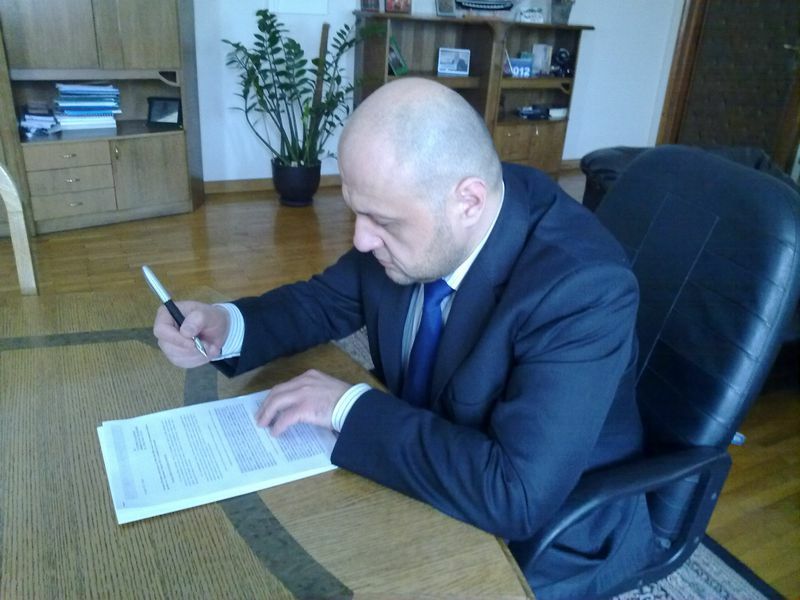 In this regard, Minister Donchev shares his colleagues' concerns: "But I'm very worried, because I see limited opportunity to invest in hard infrastructure - transport infrastructure, water sector, waste sector. We all know that the new member states have huge costs associated with covering the requirements of the national and European legislation, but without transport connectivity it would be difficult to talk about cohesion or convergence." He says, however, the arguments of the new members have been heard and in the final version of the documents he expects 30% of the overall financial framework to be maintained as a resource from the Cohesion Fund to finance the road and railway sector, where it is part of the European transport corridors, as well as the water sector. Regarding another request of the new Member States - to increase the ceiling to 2.5% of GDP for EU cohesion funds, Minister Donchev said: "Even with a ceiling of 2.5 percent in the next programming period Bulgaria will receive more funds than in the current. I expect an increase of at least 15%, but it could also be 20%." 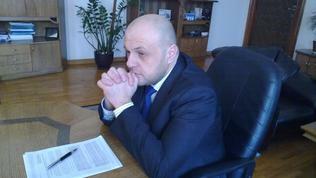 The amount of funds will not depend on the absorption Bulgaria now has. It could be used as a political argument, but Bulgaria has no reasons for concern, Minister Donchev believes, since "currently the control system in Bulgaria is one of the best available in Europe," and the increase of payments gives to the country a better negotiating position. In terms of Bulgaria's Budget 2012, some bloggers commented on this web site that a very high percentage of EU funds was set as a buffer, which they defined as risky. 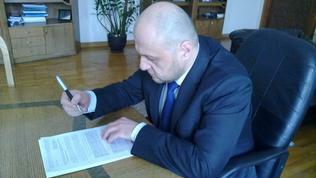 Minister Donchev, however, believes that the risk is properly assessed. "The fact is that the amount of EU funds set in the budget, as both income and expenditure, is much greater than in all other budgets, including that for 2011." But Bulgaria has demonstrated that it can absorb more EU funds: "We started 2010 with 400 million BGN (205 mn euros) in payments and ended up with 1.5 billion (0.76bn euros). We started 2011 with 1.5 billion in payments [...] and ended up with 3 billion." We have contracted over 10.5 billion BGN or nearly 68-69% of the overall financial framework, so Bulgaria relies on a sufficient number of contracts under which payments to be made. By mid-2012 the Bulgaria 2020 strategy is expected to be ready, which Minister Tomislav Donchev defined as "the constitution of programming and planning in the next period." It should reflect a mix of policies and investments in several areas: "It would be ridiculous to say that Bulgaria's biggest priority are road investments or investments in railway infrastructure. It is clear that this is important, but it could not be the only factor to bring growth." Therefore energy efficiency, SMEs, innovation, education and science are also important priorities.